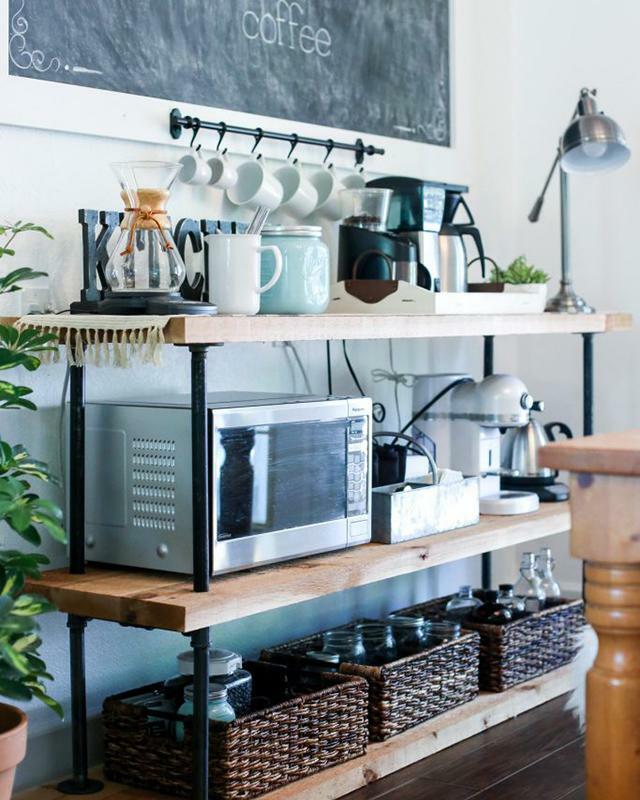 The ultimate home coffee stations for coffee lovers. Skip the trouble of walking down the street for a cup of morning coffee by creating your own mini coffee shop in the heart of your home! 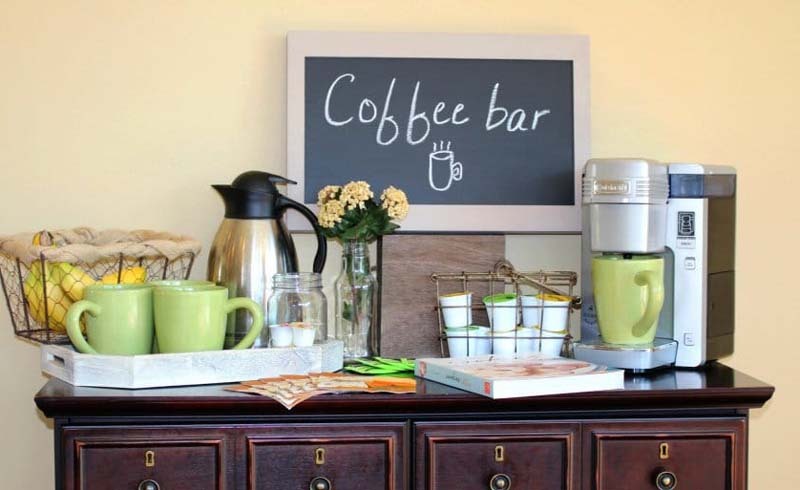 From rolling carts and dressers to open shelves and countertop corners, there are so many different places in your home that you can transform into a cute coffee station. 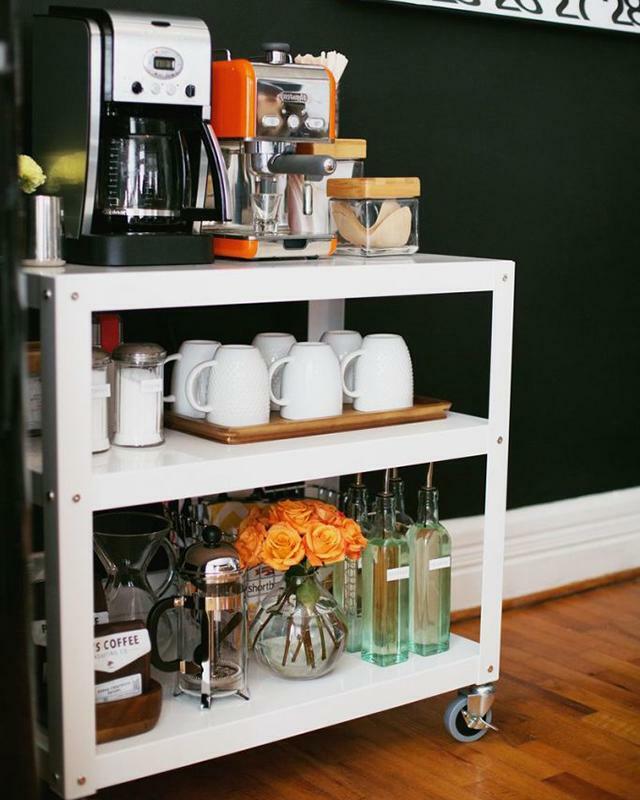 Simple and functional, place your mugs, machines, and condiments on a rolling cart for easy access at all times. Get the details for this perfectly organized coffee cart, here. 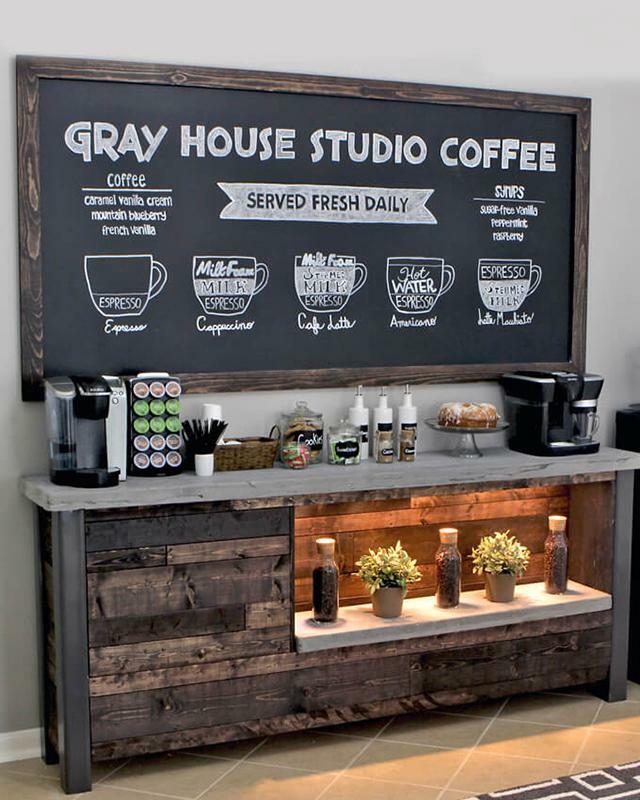 Chalkboard, black pipe, and wood boards combine to create this DIY industrial style coffee station. Follow these building plans to learn how to make your own! 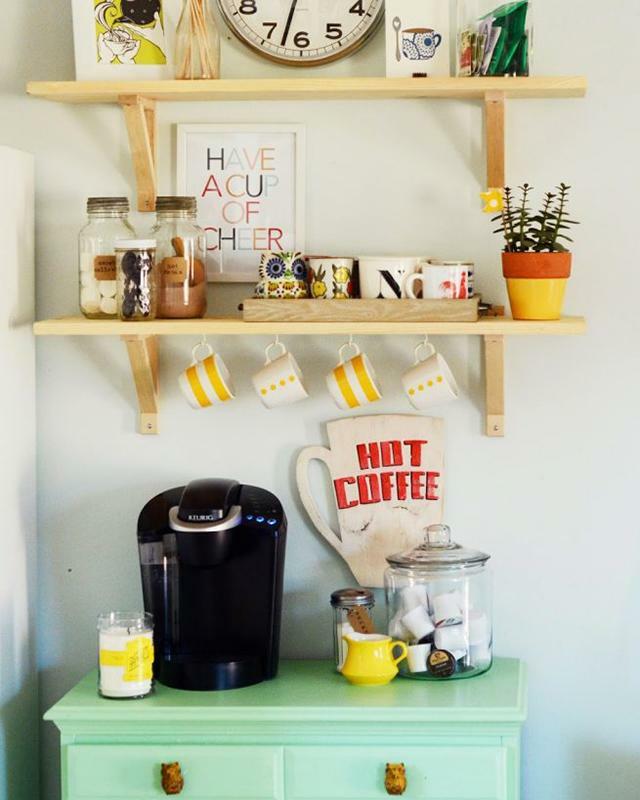 Repurpose an old dresser and turn it into a personal coffee bar for storing your coffee essentials! Try hanging a couple shelves above for additional storage space. 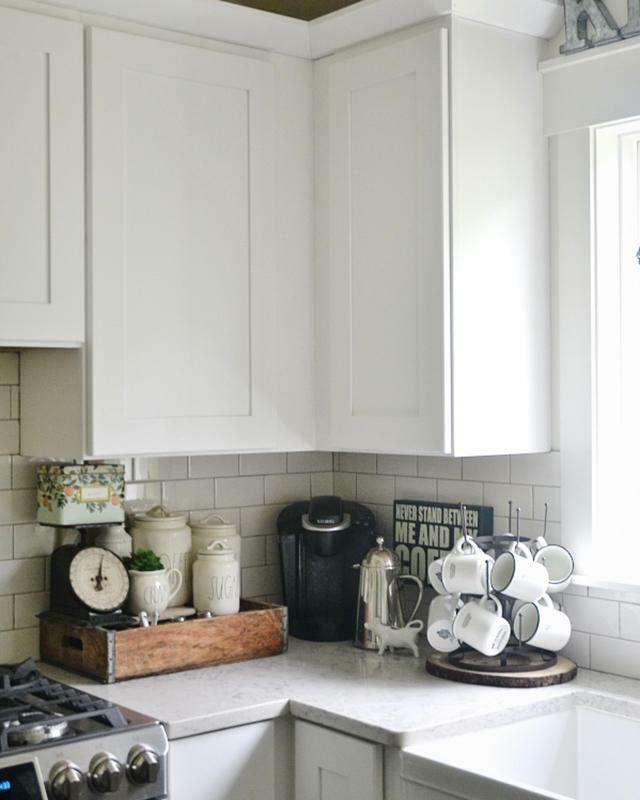 Not sure what to do with that unused desk area in your kitchen? 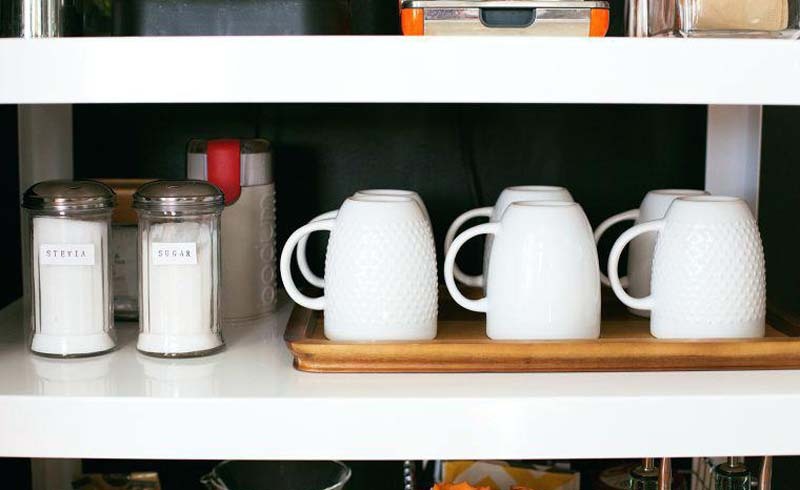 Transform your messy kitchen desk into the perfect coffee bar! 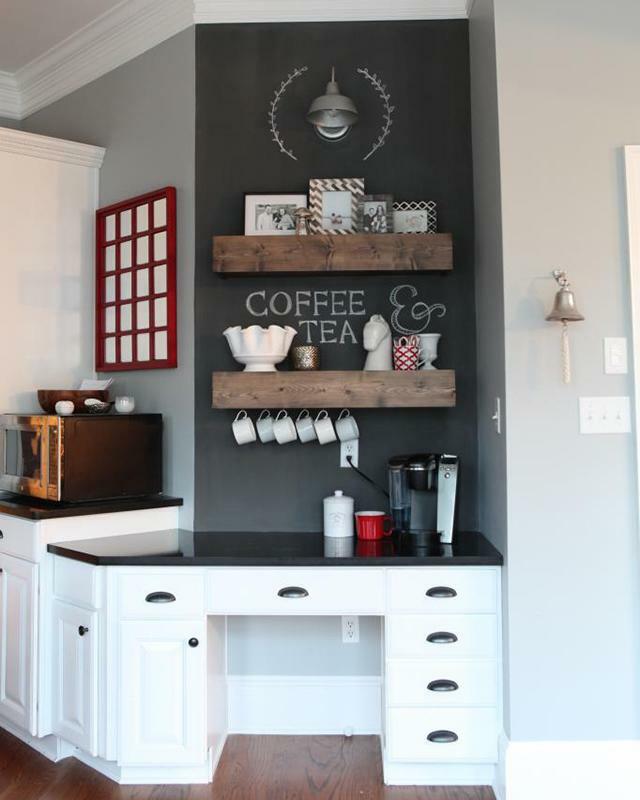 See how simple it is to make your own kitchen coffee area by following these steps. 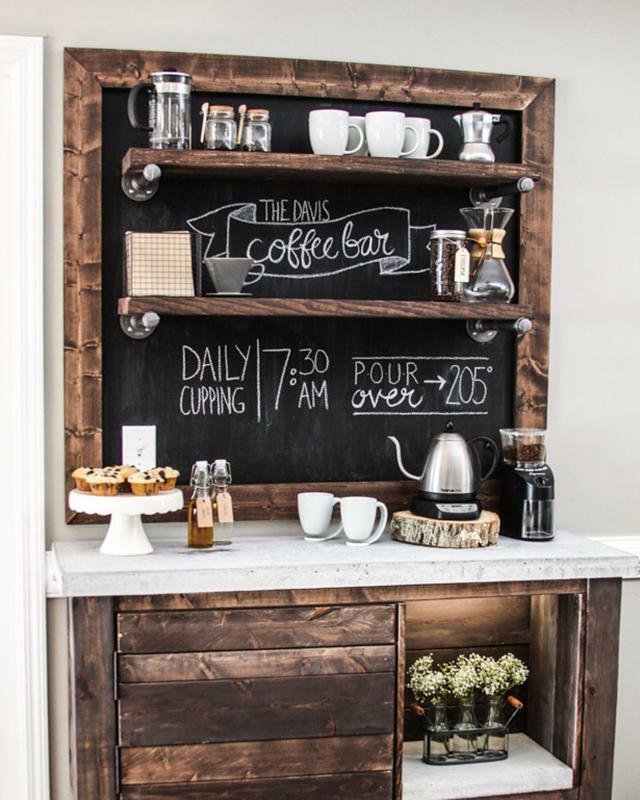 With a large chalkboard sign, lighting, and plenty of storage space, this DIY coffee bar is the ultimate at-home coffee station.